Age International, as its name suggests, has something to say about the importance of meeting the needs and upholding the rights of older people all around the world. It is now pretty well acknowledged that the social care system in the UK is in crisis and that government funding has failed to keep pace with demographic changes and rising costs. So yes, undoubtedly it needs more investment. However neither we, nor our sister agency Age UK, believe that the solution lies in pitting two vulnerable groups of people against each other. This is a false choice. The UK Aid budget is used to support some of the poorest and most vulnerable people in the world, including older people. In our view, rather than cutting funding for older people in developing countries, we believe there is actually a convincing case to do more. Despite a higher risk of vulnerability, older people are all too often overlooked and neglected, so it is vitally important that organisations support older people wherever they are. Using the UK Aid budget to support older people is a smart decision and the right decision if DfID is to deliver on its commitment to leave no-one behind. The world is undergoing a massive demographic shift and population ageing is affecting even the poorest of countries. There are 928 million people over the age of 60 in the world today, with over 60 per cent living in developing countries. By 2050, the number of older people will have risen to 2 billion, or one-fifth of the world’s population – and 80 per cent will be living in what are now developing countries. The UK can be proud to have played a part, through its development assistance, in helping to increase life expectancy worldwide, through efforts to improve health, education and economies in developing countries. 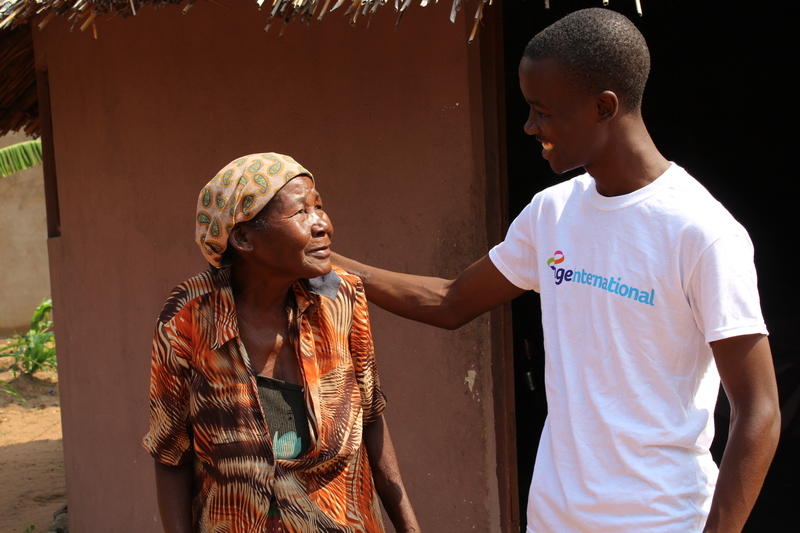 Age International believes that good development requires, among many other things, that the needs of older people are recognised and met. We are not alone: the UN’s global Sustainable Development Goals say the same; as does the World Health Organisation and the UK Government. Later life in developing countries brings with it new challenges. Families are finding it difficult to offer support to their parents and grandparents due to poverty. Older people themselves are frequently taking on roles as primary carers for grandchildren, spouses and parents. And when families are forced to migrate to look for work, older people are often left behind. In today’s ageing world, Age International is committed to doing everything we can to ensure that the international community better responds to the needs of older people. As a leader in overseas development assistance, the UK Government plays a vital role to ensure that those older people who are among the world’s poorest and most vulnerable people are properly included in the help that we give. Age International believes that the UK’s commitment to helping the needs of older people worldwide should stand alongside and not be in competition with older people in the UK receiving the help they need.